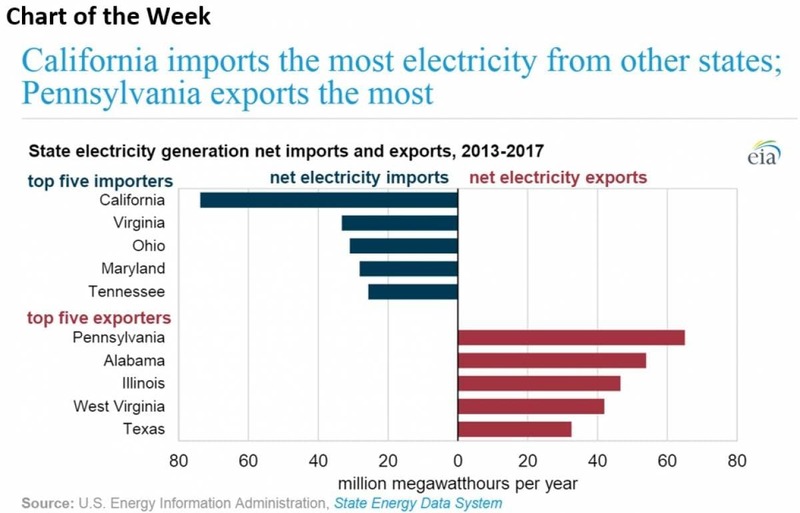 - Between 2013 and 2017, Pennsylvania was the largest exporter of electricity, shipping out 59 million megawatt hours (MWh) on average each year. - California, on the other hand, imported an average of 77 million MWh, the most out of any other state. • Norway’s opposition Labor Party withdrew support for oil exploration off the Lofoten Islands in the Arctic, an environmentally sensitive area. With Labor moving against exploration, there is now a solid majority in parliament to keep the area off limits. Equinor (NYSE: EQNR) has said that the Lofoten Islands are key to preventing Norwegian oil production from declining in the long run. • Royal Dutch Shell (NYSE: RDS.A) signed an agreement with Sinopec (NYSE: SNP) to jointly explore shale oil and gas in China’s Shangdong province. “China’s shale oil has very low permeability, which means very low per well output that makes the economics hard to work,” an oil and gas official with China’s Ministry of Natural Resources told Reuters. • Callon Petroleum (NYSE: CPE) agreed to sell non-core assets in the Permian’s Midland Basin to an unnamed buyer for $260 million. Libyan oil faces potential disruptions. Battling in and around Tripoli has intensified in recent days, with the Libyan National Army (LNA) conducting some airstrikes on the city and its airport. The international community, including the U.S., called on the LNA to cease fighting. Libya’s main oil fields are away from Tripoli and are already in territory controlled by the LNA. They don’t face immediate disruption, but because the LNA could become stretched by fighting for Tripoli, the potential for outages is on the rise. Oil prices spiked on Monday as a result of uncertainty. Banks hike oil price forecast. A Wall Street Journal survey of 12 investment banks finds rising expectations for oil prices. The banks average forecast puts Brent at $68 per barrel this year, up $1 from the same survey in February. India delays Iran oil purchases. Indian refiners are holding off on buying oil from Iran ahead of the expiration of U.S. waivers on sanctions, according to Reuters. India had been granted a waiver by the Trump administration to buy about 300,000 bpd, which was about half of what India was importing prior to sanctions. Until the White House offers clarity on next steps, India is delaying purchases, Reuters reports. Shale industry risks output by maximizing short-term production. 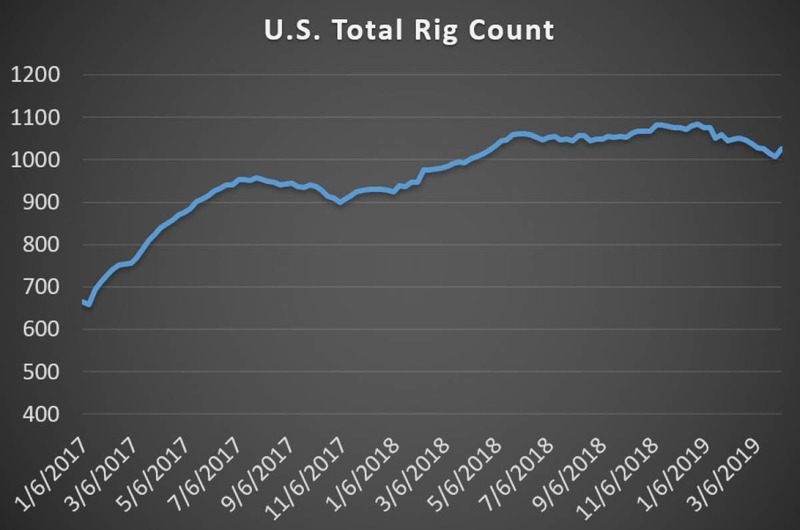 A blockbuster report from the Wall Street Journal posits that the shale industry, in its quest to aggressively ramp up output from wells, could be front-loading production but reducing overall output over time. “In effect, frackers have jumped on a treadmill and ratcheted up the speed, becoming ever more dependent on new capital to keep oil production humming, even as Wall Street is becoming more skeptical of funding the industry,” the WSJ wrote. Some wells are exhibiting an increasing proportion of natural gas output relative to oil, a sign of dropping reservoir pressure. In 2013, for instance, EOG Resources (NYSE: EOG) produced an average of 227,000 barrels of oil from a well’s first year of production, but last year the average well only produced 134,000 bpd. At the same time, natural gas output jumped. Oil and gas ETFs performing well. Rising oil prices and strong economic performance have led to a soaring start for energy-related ETFs. The Energy Select Sector SPDR Fund is up more than 16 percent this year. Cheaper renewables makes climate challenge $10 trillion cheaper. Falling costs for solar and wind has trimmed the price tag for meeting climate goals, according to the International Renewable Energy Agency (IRENA). To meet the Paris Climate goals by 2050, the world needs $115 trillion worth of investment in clean energy, down from the $125 trillion estimate from last year. New U.S.-Mexico gas pipeline about to come online. The imminent startup of the Sur de Texas-Tuxpan marine pipeline is days away from coming into operation, providing a new outlet for U.S. natural gas as well as new supplies for Mexico. ExxonMobil leading in new discoveries. ExxonMobil (NYSE: XOM) has logged a series of new discoveries, which means the company accounted for about 40 percent of new oil and gas discoveries in the first quarter of the year.